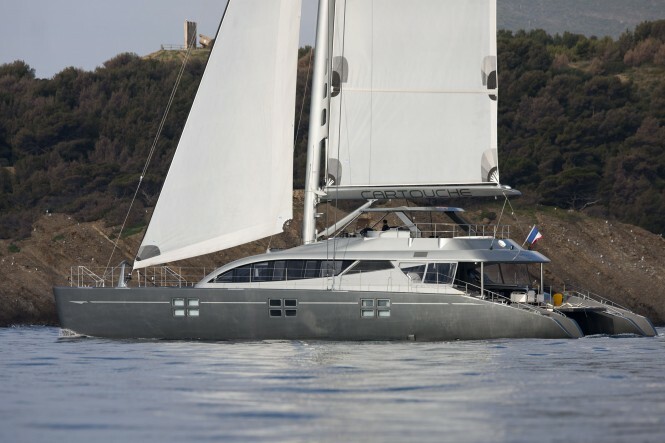 Sailing Yacht Cartouche is a 28.9 metre luxury Blue Coast 95' series vessel, launched in 2010 and delivered in April 2011. 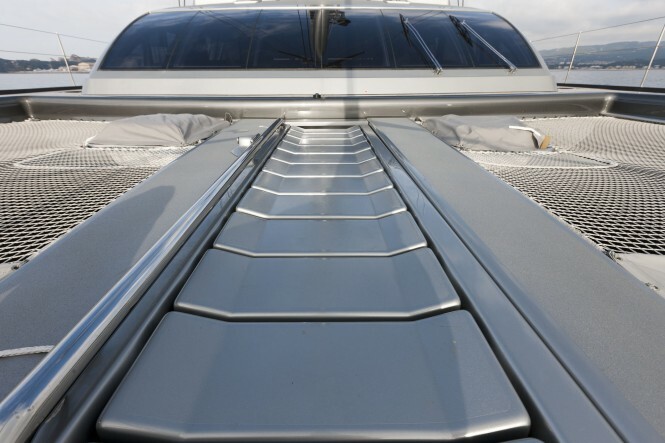 Superyacht CARTOUCHE was created in collaboration between Blue Coast Yachts, Jean-Jacques Coste Designs and H2X Shipyard. 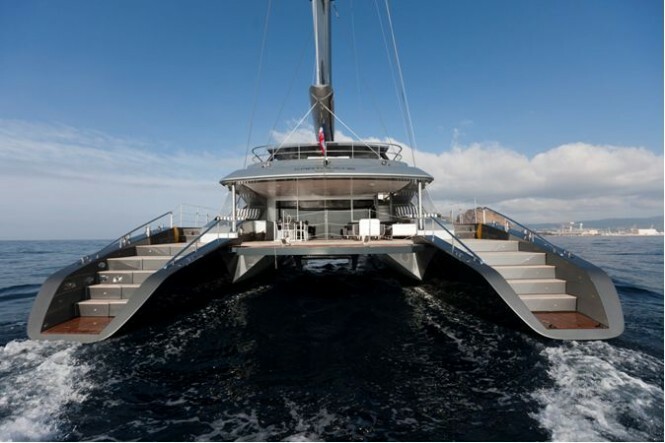 CARTOUCHE yacht is one of the most elegant sailing catamarans in the world, designed by the renowned naval architectural office of Coste Design & Partners. 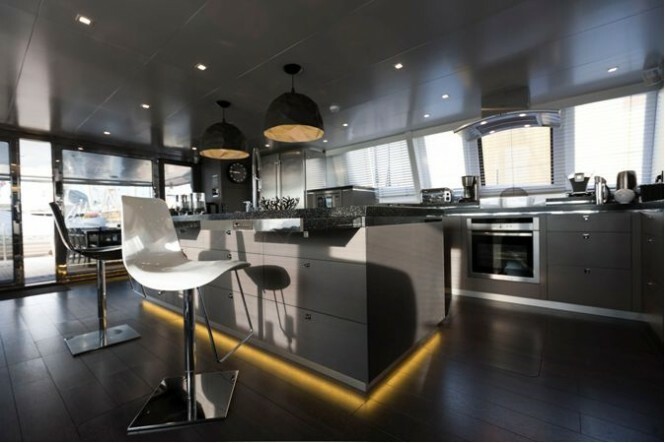 The luxury catamaran features overs 12 metres of beam and a length of 28.8 metres. This Blue Coast 95' yacht Cartouche offers premium performance and superior comfort combining modern styling with elegant aerodynamic lines. 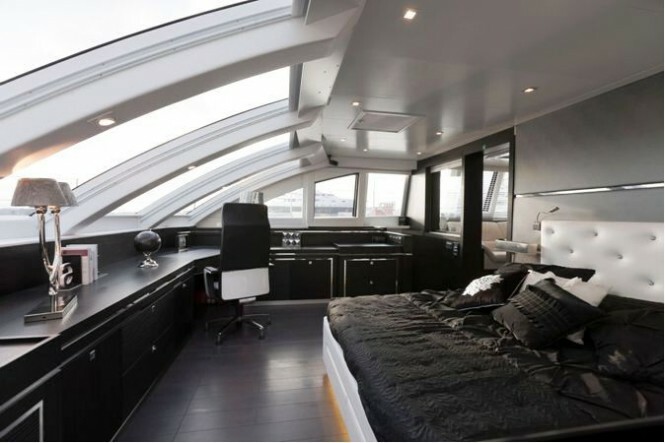 Accommodation on board is offered in an Owner's cabin on the main deck, with an en-suite bathroom. Furthermore there are three guest cabins, each with a bathroom and a shower and a crew cabin for four with a bathroom and a shower. 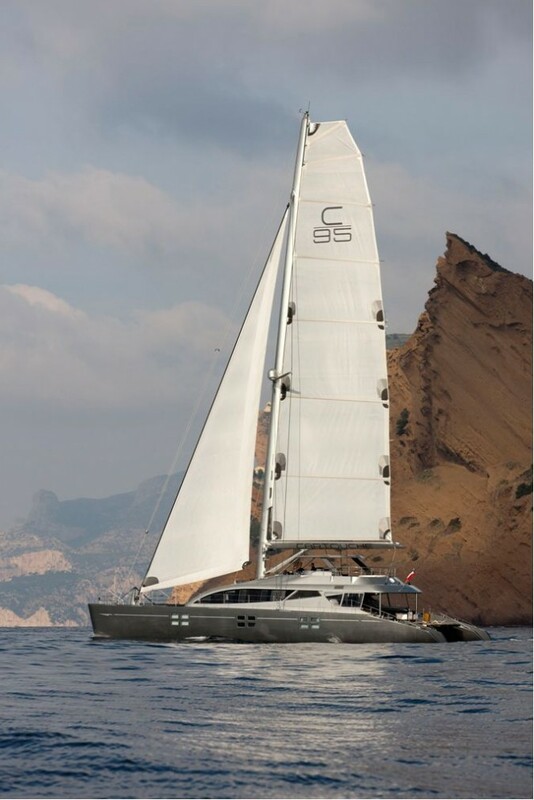 The Blue Coast 95' yachts can be conceived with different layouts to make the boast suitable for yacht charter, as well as for private yacht use. 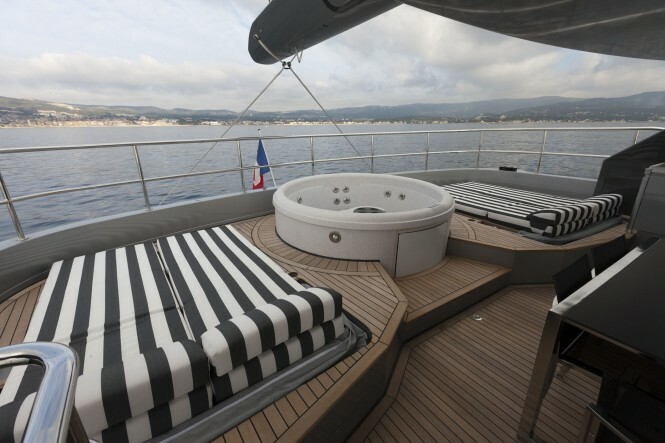 All the sails and mooring commands are operated from the helm station. All the sails are made in 3DL by North Sails. The sail plan shows a full battened 235m² fat head main sail with carbon furling boom, a 115m² hydraulic furling self-tacking jib and a 280-m² Gennaker which provides additional power in light wind conditions. 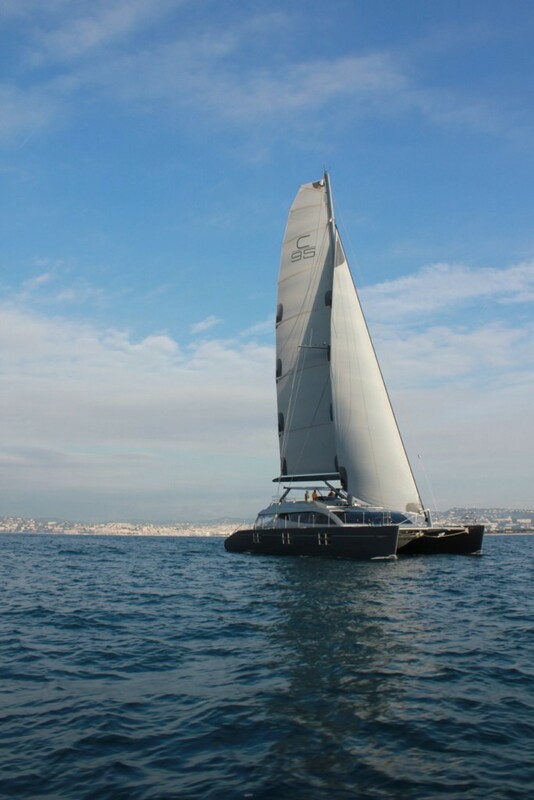 The Blue Coast 95’ is equipped with a very efficient high modulus carbon wing mast build by Petitjean Composites. The Kevlar standing rigging promotes simplicity, light weight, low drag and high efficiency. Mast and boom are studied using 3D technology and finite elements analysis. 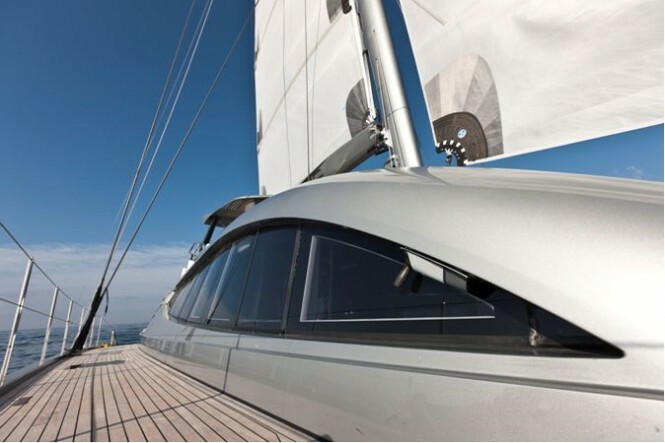 The S/Y Cartouche is equipped with a styled hydraulic furling boom operated from the helm station and with an automatic bagging system to protect the sails. 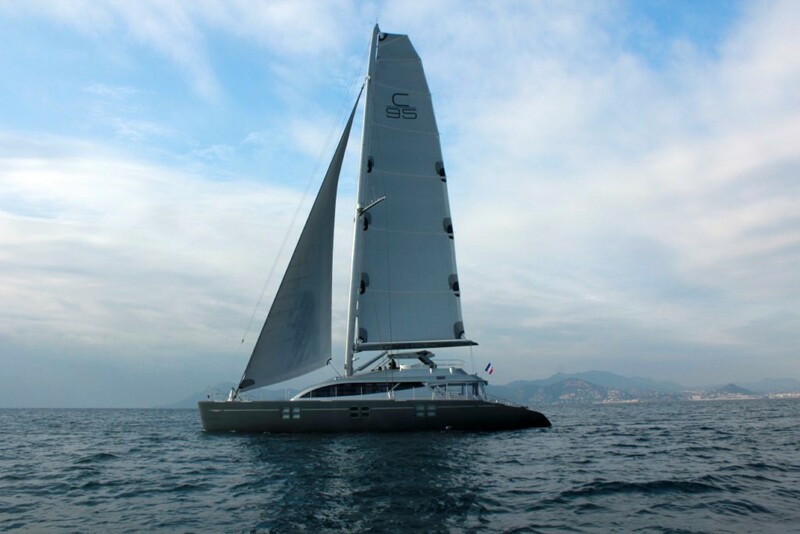 This allows a very safe and easy sail reduction and open new perspectives in the manoeuvring of giant sailing catamarans. Sailing yacht Cartouche is fitted with twin 425hp Cummins QSB 5.9 engines, which can power her up to a maximum speed of 15 knots. Her range at cruising speed is of 1,500 nautical miles. Amenities and water toys include one Zodiac 4.5 metre tender with 40ho Yamaha and a Kawasaki STX 15 F Jet Ski. 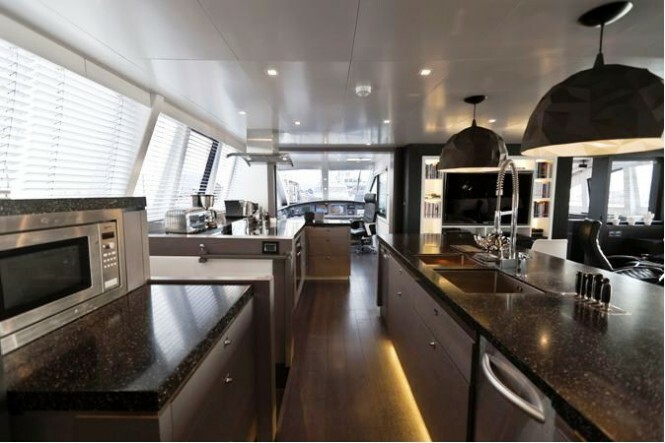 CARTOUCHE sleep 8 guests in one master plus 3 double cabins.